PRODUCT DESCRIPTION: Small Clamp type trap, made of metal, which is used underground for kill trapping moles, voles, shrews and other small rodents. It's long thin design enables this trap to be placed discreetly and out of sight. 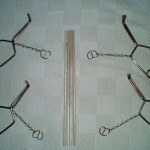 It uses a round metal ring to keep the jaws of the trap open and when this ring is pushed by targeted animals attempting to move the trap, the jaws of the trap will quickly and powerfully clamp down tight on the target. Wood dowels, which are included with each purchase, are used to both anchor the trap as well as serve as markers for where traps have been located and set throughout the yard. WHERE TO USE IT: Underground where targeted animals are burrowing and active. RATE OF APPLICATION: When den tunnels are found, access holes should be made above ground through which two traps should be set opposite of each other. The turf above can then be replaced with nothing more then a small section of wood dowel slightly above ground level serving as a location marker. As a general rule, the more traps utilized means the faster you will get your target animal. 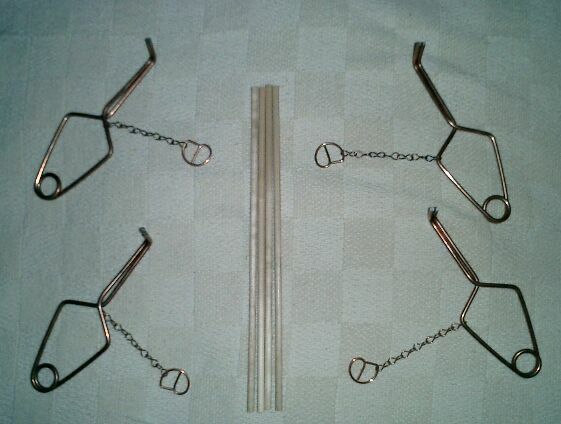 Try to have 4-8 traps set at any one time per 5,000 sq/ft of lawn. These traps are the only thing I have found that will reliably kill voles. I set them at the entrances of the vole burrows. Just yesterday I killed a vole that tried to enter its burrow from BEHIND the trap….it killed him dead as a doornail anyway! The trap must have broken his neck or fractured his skull without catching him in the jaws. He was lying next to the trap so he must have been put down very quickly. Good job and thanks for sharing! No doubt they're one of the best traps for small borrowing animals like voles, moles and shrews.